Berea has long been a favorite place of ours and it is only 45 minutes from Beaumont Inn in the Bluegrass Region, but is officially in Eastern Kentucky Appalachia. (Which is another great thing about Beaumont Inn—you are only an 1-2 hours away from many of the regional divisions of Kentucky—Derby Region, River Region, Cave Region, Daniel Boone Country, etc. Always something new to see!) It is a windy road to Berea, but take your time and enjoy the rural area. Directions from the Inn: US 127 S to US 52. Just after Lancaster you will see 934 turning to right, which will take you into Berea and cut off a little of the curves. Or take US 52 into Paint Lick, look for 21, turn right and on into Berea. As you enter Berea, you will ride through Berea College’s beautiful campus. Berea College was founded in 1855 by John Fee, intent on bringing higher education to Eastern Kentucky. It became a home to a student crafts program that preserves traditional Appalachian crafts and arts. Students pay no tuition but agree to work on the campus or at Boone Tavern, the hotel/restaurant associated with the college. It has long been recognized for its excellent reputation attracting students from all over the world and has amassed a sizable endowment from former students who have “done well” after graduation. As you enter the square you will see large columned building—Boone Tavern. Completed in 1909, it was the brainchild of Eleanor “Nellie” Frost, wife of the college president. In 2009 a multi-million dollar renovation was completed which made Boon Tavern the first LEED certified green hotel in Kentucky. It is beautiful! We were fortunate to have a tour of rooms by the doorman, Mr. Bill. Hopefully, he will be able to do the same for you if he is not too busy. Rooms are furnished with hand crafted furniture from the Berea College Woodcraft industries as well as all the modern amenities. After the tour, we ate lunch in Boone Tavern restaurant—wonderful! Served by students, we had a generous lunch complemented by an ample serving of the famous Boone Tavern spoon bread–another Kentucky tradition. I recommend the portabella mushroom salad. Yummy. Berea is just full of artists of all types—dulcimer craftsman, weaving, glass works, furniture and so much more. 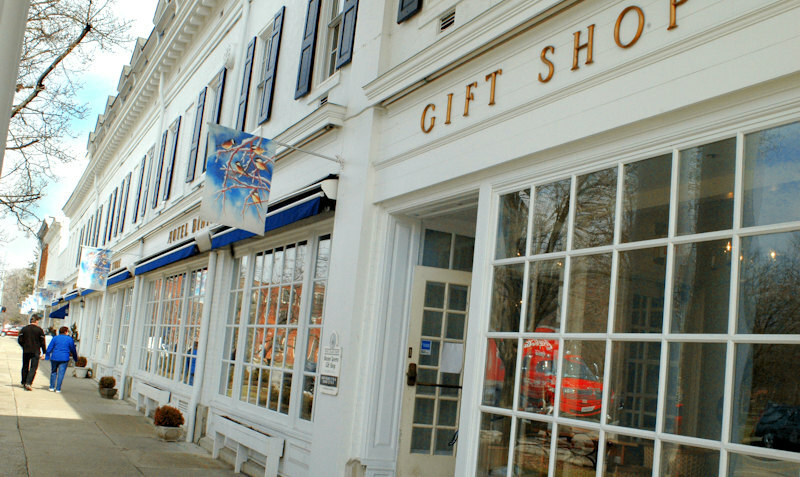 Many new artists but many famous artisans have studios on Main Street. Window shopping and stopping in will entertain you for the rest of the day. But leave time to visit the Kentucky Artisan Center on 975 Walnut Meadow. Opened about 5 years ago, the center showcases over 650 Kentucky artisans. It is wonderful with different artists featured throughout the year. So it is a great trip and something you don’t want to miss.